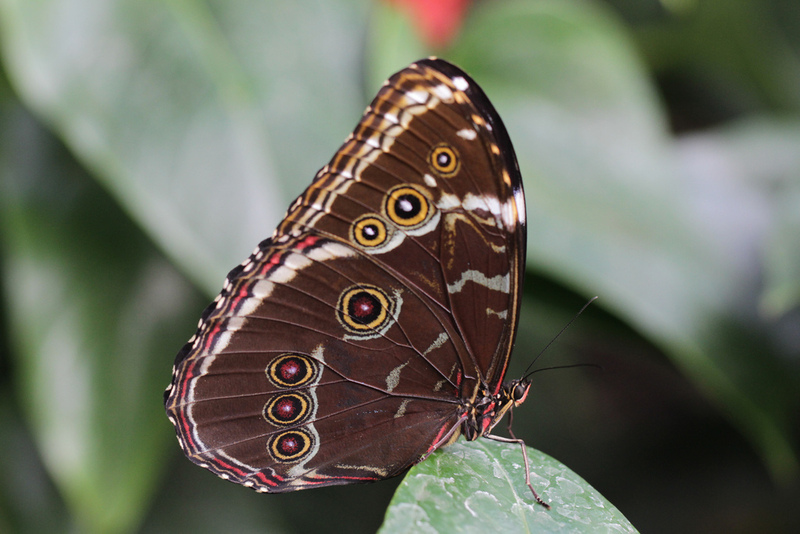 This month at Wisley, the RHS has organized an event called “Butterflies in the Glasshouse“. If you have the courage to brave the queues and noisy children (or if you have the chance to visit it on weekdays! 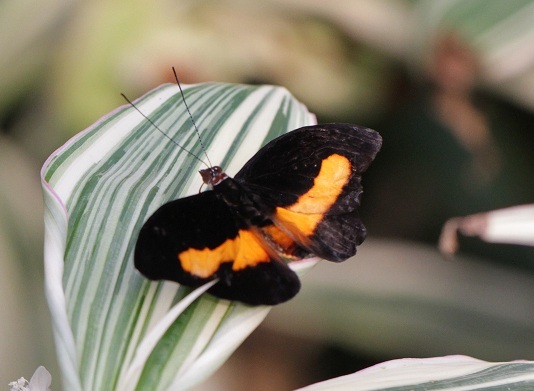 ), this is a fantastic opportunity to take a closer look at tropical butterflies (but I so wish people would stop to blow like crazy on the butterflies’ wings to make them fly or try to catch them the wrong way :/). Start your journey by visiting the emergence room where you will see dozens of pupae, hanging from bamboo canes in a controlled atmosphere. If you’re lucky, you might even catch a glimpse of a butterfly emerging from its chrysalis! The pupae are bred in a butterfly farm in Belize, and sent to the UK by airmail. Normally, the caterpillar spins a small thread of silk on a branch, from which the pupa will hang. But in that case, pupae have been detached from their branch, and must be resuspended when they arrive at Wisley, using a small amount of glue (when the adult butterfly emerges from the chrysalis, it will hang with its wings downward for a few hours to allow them to dry, so pupae must be vertical). When the butterflies have successfully emerged, they are transferred to the greenhouse. Now it’s your turn to try and spot them among the tropical flowers! 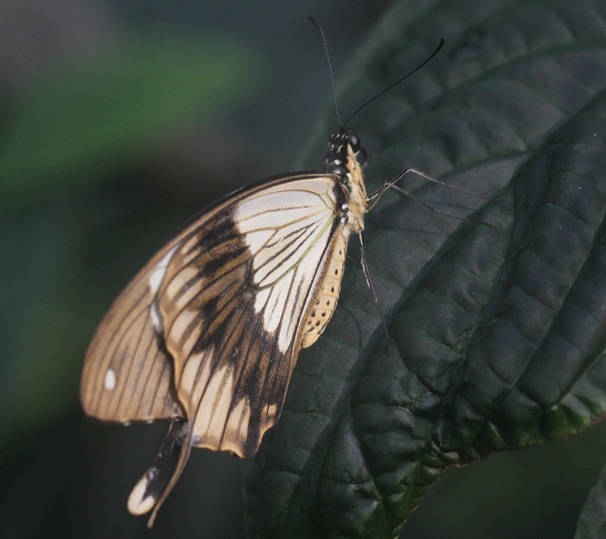 Belonging to the same family, the Large Tree Nymph (Idea Leuconoe) from South East Asia is very popular in butterfly exhibitions, because it has a relatively “long” lifespan (28 days compared to a week or two for most species). 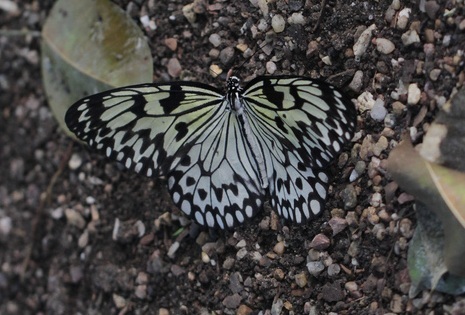 The wings are translucent and so thin that it’s also called the Rice Paper butterfly. Interestingly, this butterfly extracts and accumulates alkaloids from its food plants – which makes it poisonous to birds. 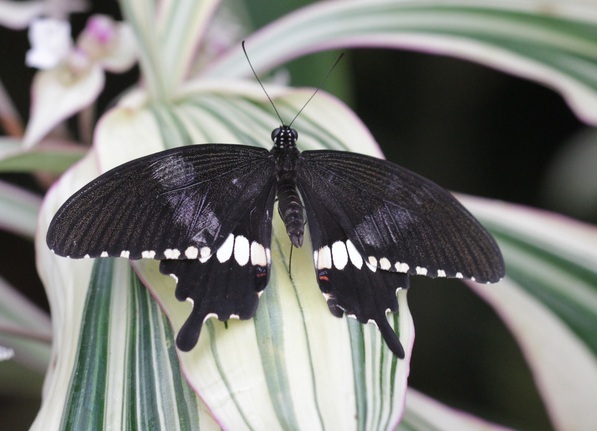 The African Swallowtail (Papilio dardanus) has, like many swallowtails, tail-like extensions of the wings. Females of this species show a high polymorphism (at least 14 different wing colour patterns, called “morphs”, have been found) – no one knows the reason, but it might be a solution to avoid being eaten! 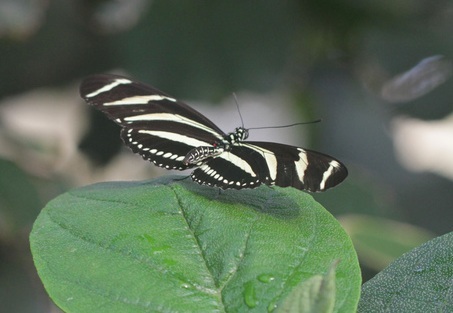 Another swallowtail flying in the glasshouse is the Common Mormon (Papilio polytes), which comes from South-East Asia. Some females tend to mimic the colours of another butterfly which is poisonous, the Comon Rose, to avoid being eaten by birds…clever trick! The famous Blue Morpho (Morpho peleides) has vivid blue wings used to frighten predators (taking a picture is not easy, as the butterfly tends to spend time with its wings closed). 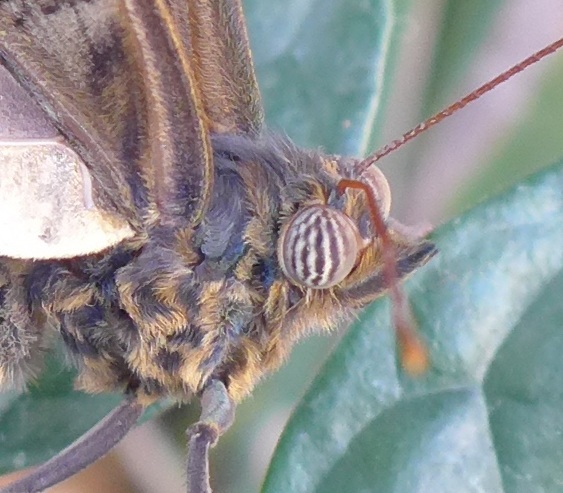 The underside of the wings, shown here, is brown, with large eyespots (or ocelli). These striking marks are thought to imitate the eyes of other animals and repel predators, but they could also play a role in mating behaviour. 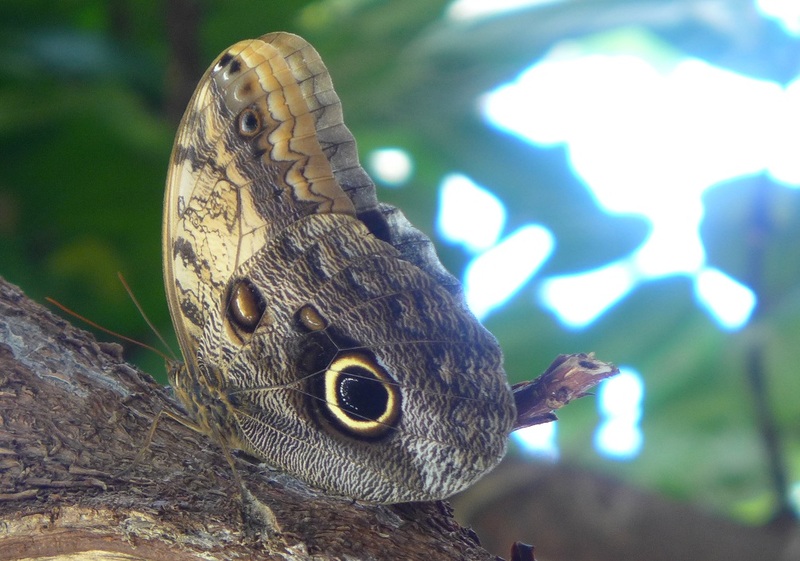 Speaking of eyespots, another good example is the Giant Owl (Caligo memnon). 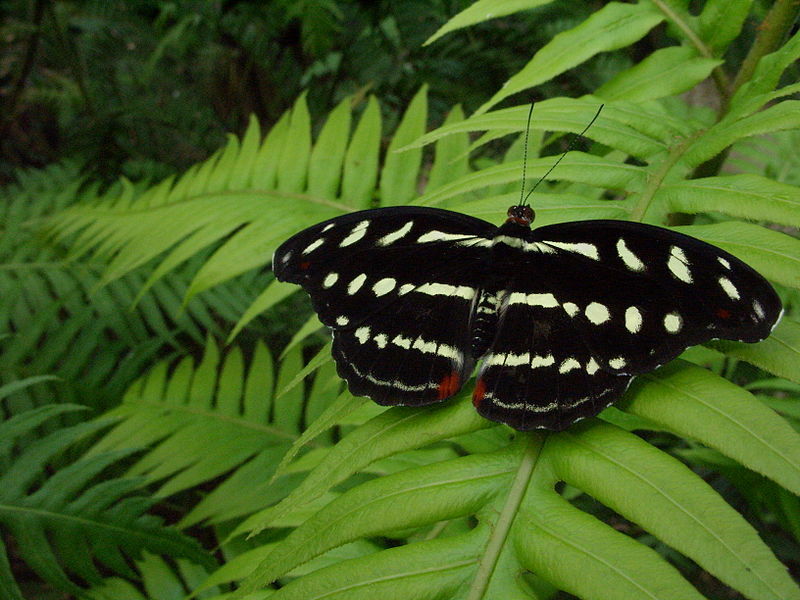 Also a South American species, this butterfly uses both large eyespots and a bark-like wing pattern to avoid predators. Like in all butterflies, the eyes of the Giant Owl are compound : they are made of thousands of small “eyes”, each with their own cornea and light receptors. The Giant Owl flies at twilight, so it has evolved large eyes which are up to 4 times more sensitive to light than those of a morpho! 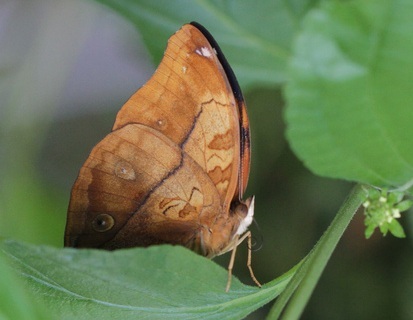 Now, a little game : what do these two butterflies have in common (apart from the fact that they come from the same area in Central/South America)? My personal favourite (who said I liked green? :-D) : the Malachite, Siproeta stelenes, which takes its name from the greenish mineral. 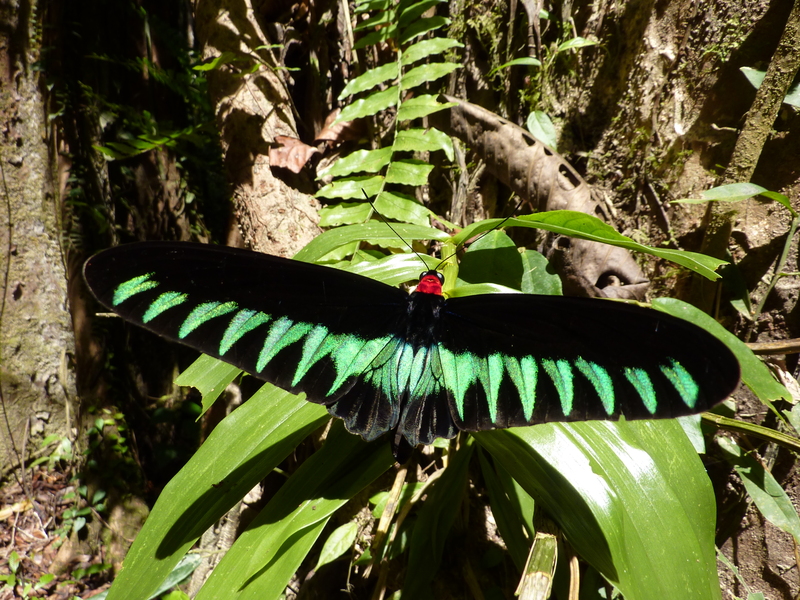 I had the chance to see tropical butterflies in their natural habitat, in South-East Asia, and I can’t resist showing you this Rajah Brooke’s Birdwing (Trogonoptera brookiana) – another favourite of Alfred Russell Wallace who described it as “perhaps the most elegant butterfly in the world” ; 15 cm of natural beauty! There are plenty of other species to discover at Wisley, and if you have a chance to go, hurry – it ends on February 24th! 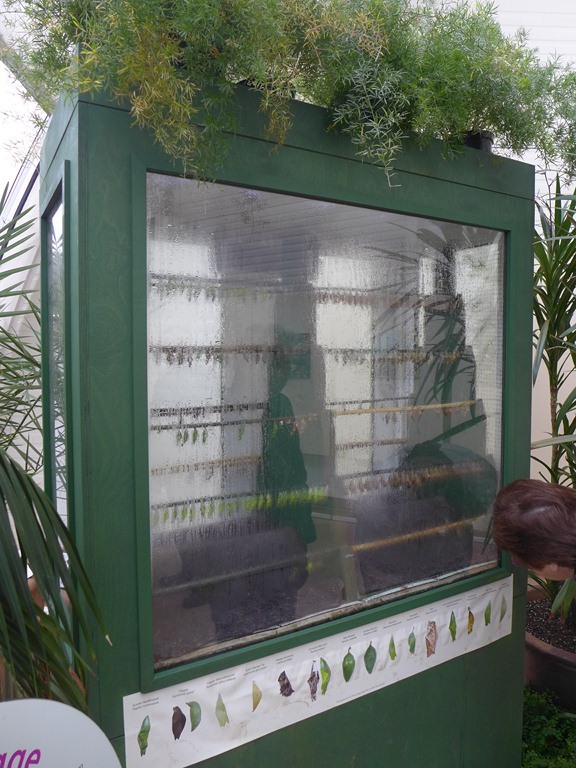 Some people might say : what’s the point in shipping pupae by plane and displaying butterflies in an artificially heated greenhouse, thousands of miles away from their natural habitat (apart from the obvious photography opportunity)? Well, these butterflies all have a short lifespan, and will die after a few weeks, it’s their natural life cycle. They have been reared, not taken out of their tropical habitat. Let’s not forget that butterflies and moths populations are declining all over the world, and not just in the tropics. 3/4 of British species are in decline, 5 species of butterflies and 60 of moths have already become extinct. If this exhibition can raise the awareness on these beautiful and fragile animals, then I think this is a worthy effort from the RHS! Previous Post How do bats cross a motorway? – the results! 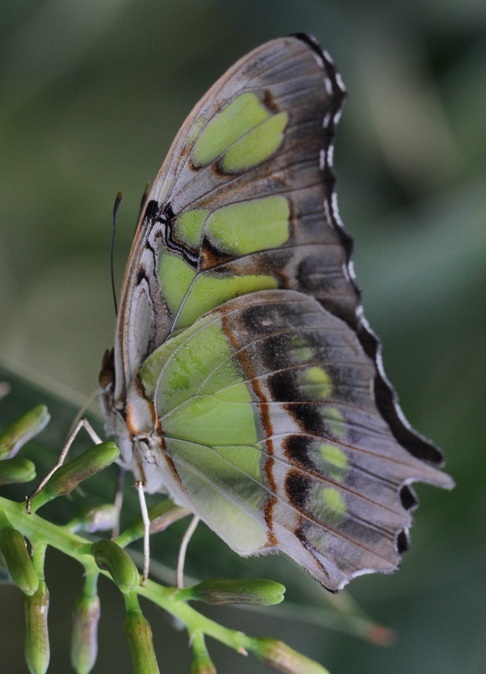 Great photo’s Sophie, tropical butterflies are exquisite and you captured a fine selection here! Do the swallowtail polymortphs originate in different areas? Thanks – butterflies are not easy to photograph, even in a controlled environment! The swallowtail polymorphs seem to come from different areas, although their distribution ranges can overlap. It was thought at first that they were different subspecies or even different species, and not simply morphs. The variation is quite amazing, with some females even taking a “male-like” appearance. I can’t remember the details from my courses, but the genetic of the morphs has been widely studied, and I think the colour pattern is controlled by one major “mimicry gene”…so complicated, so fascinating! Hello Sophie, that’s fascinating. I wonder what the environmental stimulus is for modulating the mimicry gene and what the molecular level of control is? The colour distribution on butterfly wings is an endless source of wonder and the fact that there are now genes identified which change it suggest an underlying genetic rationale for it.